As your bump grows, the centre of gravity shifts forward, tilting your pelvis and deepening the curve in your low back. This in turn causes your upper back to appear more rounded and the curve in your neck to deepen in order to keep your eyes and ears on the same level – this is our ultimate postural goal! Your muscles and ligaments have to be able to stretch and relax in order to allow this change in your spinal curves to happen. You adopt a wider stance to make you feel more balanced which means that your hips have to be able to adapt. This causes the muscles which turn your hips outwards to tighten. The extra weight and hip positioning sometimes affects the arches of the feet, making you more flat footed. This in turn affects how your knees, hips and back function. Your pelvis is perfectly designed to cope with the challenges of childbirth. From early on in pregnancy, each of the three joints that form your pelvic ring become more mobile and adaptable. This in part is thanks to the body-wide effects of the hormone Relaxin which is released from weeks 7-10 onwards. It is quite common in patients with pain in the sacroiliac region (the most common area to experience back pain) that the three joints of the pelvis aren’t all moving to the same degree. This can cause strain in one area, rather than healthy movement where all of the joints cooperate. I’m always telling patients that pregnancy is an amazing time to receive osteopathic treatment. It’s a time when the body is so ready to adapt and resolve it’s own issues that it often only takes minor changes during treatment for the mother-to-be to be completely pain-free. As osteopaths, we believe that your body has all of the tools it needs to resolve issues itself, it’s own “medicine chest” as founder A T Still referred to it. 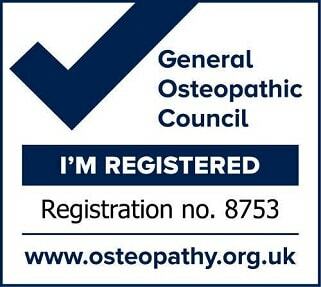 Sometimes, you just need some help to facilitate that process, and that’s where osteopathy comes in! None of us are symmetrical. The way each body moves is the result of how it has been used and what has happened to it in the past. Sometimes this history plays an important part in understanding why some struggle to adapt to the postural changes during pregnancy. 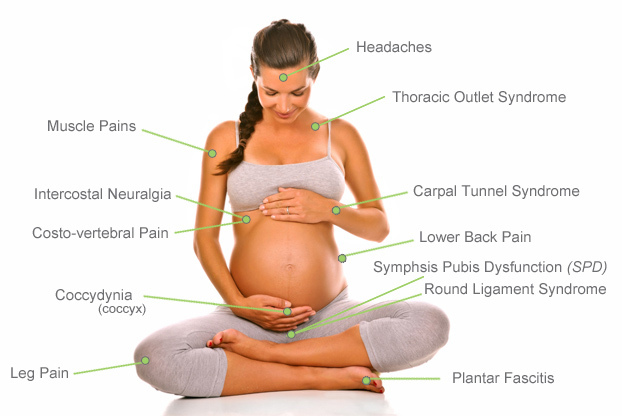 Back pain is just one condition that women can suffer with unnecessarily during pregnancy. 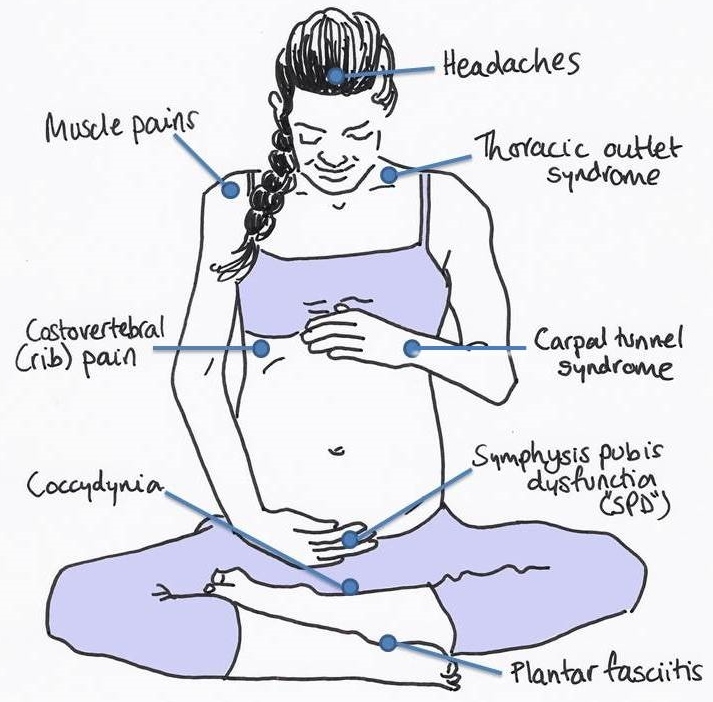 Below you will see a few other common conditions that patients of mine have experienced relief from after osteopathic treatment.